A number of months ago, a resident of Gainesville, Florida – where I was a senior planner for 20 years — had a letter published in the Gainesville Sun newspaper. It seems that Mr. Bill Pepper – the author of the letter — STILL feels rage over the Kiwanis Club presentation I gave several years ago in Gainesville, as his letter of March 14, 2011 showed. My March presentation centered on my book, Road to Ruin, and how our single-minded focus on making cars (instead of people) happy was destroying our economy, our ability to have choices in how we travel, and our quality of life. 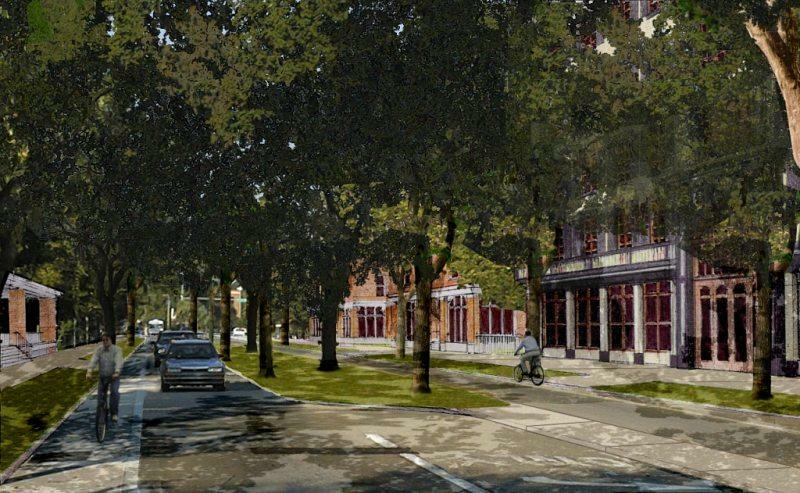 In that presentation, I lauded the decision by Gainesville to put it’s Main Street downtown on a “road diet” (ie, taking that street from 4 lanes to 3). Even though my Kiwanis presentation was so long ago, and I find it unfortunate that Mr. Pepper not only continues to feel what appears to be boiling rage over my comments after all this time, but has allowed his emotions to lead him to badly misquote me. I cannot recall the context of this remark or what, precisely, I said, but I can assure the readers of the Gainesville Sun that I would not have said what Mr. Pepper claims I said in my presentation that day. His quote of me suggests a “Not in My Backyard” sentiment. 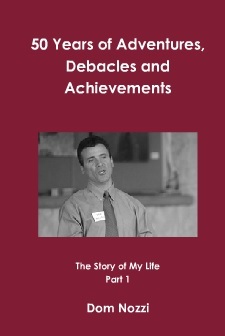 In my professional career, I have prided myself in striving to avoid that inequitable attitude in all I recommend. I urge all community and transportation planners to design in such a way as to equitably share in societal burdens (in this case, car traffic). Given that, what I am confident I said to the Kiwanis is something like the following: When roads are “dieted” (ie, have excessive travel lanes removed to make the street more conducive to safety, economic health and civic pride), it is best to do so when streets are connected, so that any “overflow” car trips that occur due to a road diet can be equitably distributed to nearby streets. In nearly all cases, by the way, overflow car trips do not occur after a road diet. Motorists tend to continue to enjoy driving on the now more attractive, calm street, even if it means the loss off a few seconds in their trip. In those rare instances where “overflow” car trips are caused by a road diet, and a small number of motorists prefer to avoid the minor delay, such motorists can usually opt for using a parallel street. Or many can opt not to drive during rush hour. The small handful which are unable to tolerate the tiny new delay will, in the long run, opt to live in a place where they can walk, bike or use transit for their commute trips. In other words, a road diet allows us to move away from the status quo of having nearly everyone drive on (and overburden) a major street at rush hour. That makes our transportation system a lot more efficient, which means the taxes that citizens such as Mr. Pepper must pay can be lower. News flash for Mr. Pepper: Thinking that wider roads solve traffic congestion is like thinking that loosening your belt will solve obesity. Is It Bad or Good that Florida’s Growth Management Law is Being Dismantled? I served as a long-range comprehensive planner for the City of Gainesville, Florida for 20 years – just after the nationally famous state growth management laws were adopted. I was hired in 1986, and the law was adopted in 1985. I was hired to help Gainesville comply with this 1985 Growth Management Law that the Florida Department of Community Affairs (DCA) administered. 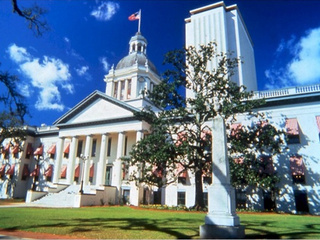 The 1985 Growth Management law was adopted largely as a way to protect quality of life in FL and prevent costly sprawl. Despite the widespread praise that the Florida growth management law has won throughout the nation since 1985 (including the mimicking of much of the Florida law by other states), I would find it difficult to shed tears if DCA (or the Growth Management law) were dismantled. The Florida law, despite all of its admirable intentions, has almost entirely failed to reduce sprawl or promote the quality of life in Florida. Indeed, a good argument could be made that the law actually accelerates sprawl and the downward spiral of quality of life in Florida. The primary reason for the failure is that the “teeth” of the Growth Management law is something called “road concurrency.” That is, new development cannot be approved unless it is demonstrated that adequate road capacity is available to serve the new development. This road concurrency standard, therefore, had as its implicit assumption that ensuring adequate road capacity and “free-flowing” traffic is the key to promoting quality of life and discouraging sprawl. Many other “concurrency” measures are required by the state law (such as adequate recreation, schools, water, and housing), but road concurrency has evolved into the only concurrency rule that really matters. All of the others are routinely ignored. The unintended consequence of the law as it is applied, then, is that roads are widened, in some cases, to maintain “adequate” road capacity, as a condition for development approval. When that is not possible, the developer is either not given permission to build, or the density of the proposed development is substantially reduced as a condition for development approval. Sprawl is therefore powerfully and unintentionally promoted because widened roads are the most powerful engine I know of for sprawl inducement and the destruction of both quality of life and the economic health of town centers. And the Growth Management law is largely compelling developers and communities to widen roads, ironically and counterproductively. Another enormous irony is that the road concurrency standard is anti-urban and anti-infill (which promotes sprawl). Why? Because town centers and other infill areas tend to have the LEAST available road capacity (the least amount of unused road space), and remote sprawl locations have the MOST available road capacity. So the unspoken message from the Growth Management law is to build in sprawl locations — not in town center locations — to get road concurrency approval. In addition, if road capacity is not available for the proposed new development, it is quite common for the developer and the community to have insufficient funds to widen the road for more capacity. The common in-town solution is to therefore reduce the proposed development density (to reduce the number of car trips loaded onto the roads serving the development). In other words, the effect of the Growth Management law in this case is to make the development more suburban in density—including new development in town centers, where more compact, higher-density development is desirable from the point of view of achieving community economic, transportation and quality of life objectives. Given this “we are our own worst enemies” law, my hope is that this current challenge—in 2011–to the existence of the Department of Community Affairs and the Florida Growth Management law will result in much-needed reform. Reform that can actually serve to promote quality of life, urbanism and sprawl reduction objectives. Florida needs a substantially revised Growth Management law. One that does not emphasize “adequate road capacity” as the key condition for development approval. Instead, it needs one that requires something more in the direction of transect-driven, form-based coding as the key condition for approval (ie, one that is focused on providing for the full range of lifestyle and travel choices, not just the suburban choice). See http://www.formbasedcodes.org/ and http://www.transect.org/rural_img.html for more information about form-based regulations and the rural-to-urban transect. The Florida growth management reform, then, needs to be one that as its centerpiece is designed to reward walkable, town center development – not punish it. One that is designed to promote a quality habitat for people, not cars. All of this is not to say that the current Florida governor (Rick Scott) is in any way sympathetic to new urbanism and the principles I describe above. I don’t at all know where Scott stands on urban design, for example. But I do believe that like with major hurricanes in Florida and Louisiana in recent times, this “dismantling” of the Department of Community Affairs and the Florida Growth Management law may be a critical opportunity for new urbanists and others seeking to reform and improve community design to be involved in the much-needed reform of state planning laws and the state planning agency (DCA) so that the law delivers what it is intended to deliver: compact urbanism, not car-based sprawl. Many cities admirably seek to promote a reduction in car use. Often, this entails a voluntary program such as “Bike to Work” Day or “Leave Your Car at Home” Day or “Car Free [name of city]” Day. While such programs are a needed community acknowledgement of the desire to reduce car travel, I would be even more impressed if they used effective strategies rather than voluntary techniques. After all, studies have shown for decades that voluntary programs (with the possible exception of such simple actions such as curbside recycling) are almost entirely inadequate in achieving desired changes in undesirable behaviors. Indeed, use of voluntary programs is a good sign that the community is not serious about correcting a problem. That there is insufficient leadership in the community to enact effective correctives. 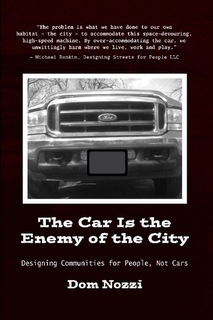 What can a community do to meaningfully reduce car use? Certainly we have learned that rigid “command economy” or other forms of authoritarian government edicts can be spectacular failures, and severely restrict human freedom and choice, as we were horrified to see in the former Soviet Union. There is, after all, some merit in using market or price signals to retain freedom of choice, and to efficiently, sustainably allocate resources. The concept suggests that the fairest, most equitable way to “nudge” community behavior in a more socially desirable direction is to allow most all behaviors (even the undesirable ones), rather than prohibit them by law. But while undesirable behaviors are allowed, they are also made less convenient, more costly, or both. An example the authors cite is a grade school cafeteria. Rather than ending the sale of high-calorie, fatty foods in the cafeteria, healthy foods are placed in the most visible, convenient locations in the cafeteria line, while less healthy foods are placed in less visible, less convenient locations. Market-priced parking for both on-street and off-street parking. Donald Shoup, the nationally-acclaimed guru of parking, points out that about 98 or 99 percent of all parking by American motorists is free, which means parking is the biggest subsidy in the US. Free parking is not free, because someone must pay to buy the land, and construct and maintain the parking spaces. We are therefore sending a “price signal” that you should drive a car as much as possible, since you will have a free parking space waiting for you (and paid by others). Charging for parking (with, for example, a parking meter) does not prohibit car parking, but does nudge some people (via an equitable “user fee”) to consider other, more societally desirable behaviors, such as carpooling, parking at non-peak periods, or opting to walk, bicycle or use transit. Parking cash-out for employee parking, if paid parking at the jobsite is not possible. Nearly all employees in the US park for free. Parking cash-out tells the commuter they can keep their free parking (they retain this choice), or they can get more money in their paycheck instead. Why do we subsidize people who drive alone to work but don’t provide a subsidy for those who bike, walk or use transit to get to work? Again, a price signal nudges some to opt to carpool, walk, bicycle or use transit to get to work (over 40 percent in national studies). But they retain the freedom of choice to drive alone to work, if they are willing to forgo the financial benefit of doing otherwise. Increase the local gas tax so that gas is not so heavily subsidized. Gas prices are artificially low because they do not take into account the externalized costs associated with providing gas: military expenditures to protect overseas oil, air/noise/water pollution associated with emissions from car tailpipes and engines, injuries and deaths due to car travel, reduced property values near roads, etc. Most communities have the ability to increase the tax charged for using gasoline locally. Increasing that tax does not prohibit car travel, but it nudges some (with a price signal) to consider traveling in a more sustainable way. Convert free roads to toll roads. Free roads are another big subsidy to motorists because only a small fraction of road costs are paid by the gas tax. Most of the cost of roads is paid for by such sources as property taxes, sales taxes or income taxes. Again, driving on tolled roads does not prohibit the use of such roads, but it does send a price signal that nudges some to consider other ways of traveling (or other times of day or week). Put “overweight” roads (roads with an excess number of lanes) on a diet by removing those lanes. 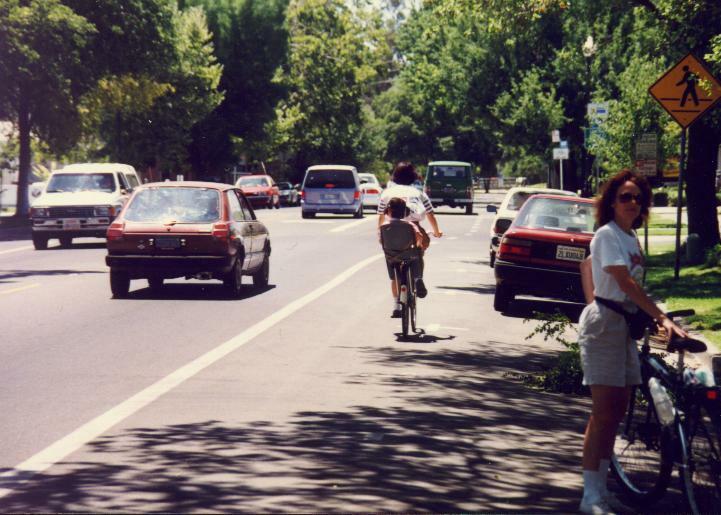 The most popular, common way to achieve such “road diet” conversions in the US is when a community humanizes a road by slimming it down from four lanes to three. Such a conversion often results in a quick, dramatic increase in retail health along such dieted streets, an improvement in residential property values (due to increased livability), and a dramatic reduction in crashes and speeding. All of these important benefits occur, typically, without a loss in the number of cars the street carries (and at very little local government cost). Once again, driving on such roads is not prohibited, but some will opt not to drive on the road because they are unwilling or unable to use an alternative route to avoid a loss of a few seconds of time on the dieted road (many others, of course, are more than happy to use another route or have a few seconds added to their drive). Provide car insurance at the gas pump. Currently, motorists pay the same car insurance regardless of how much they drive. Paying for insurance at the gas pump creates more equity, as those who drive more pay more for insurance (studies show that the more you drive, the more crashes you experience). Another example of libertarian paternalism, where driving is not illegal, but is more costly for those who opt to drive more often. Unbundle the price of parking from the price of housing, office or retail space. Currently, one is forced to pay more for housing, office space or retail space because the cost of parking is bundled into that cost. Instead, use a price signal by providing people with the option of not having to pay extra for parking. This would be particularly fair for those who have a location or life situation where they do not need to use a car much, if at all (for example, in a downtown with good transit, or proximity that allows more walking or biking). There are other tactics, but this is a good start. All of the above strategies retain freedom of choice by not prohibiting undesirable behavior (in this case, excessive car travel), but do nudge some to consider other, more socially desirable ways to travel. What can be more American than using the market to retain freedom of choice, yet at the same time promoting the pursuit of happiness?